What is Operational Research ? Though there is no "official definition" of Operational Research ("Operations Research" in the US), it can be described as a scientific approach to the solution of problems in the management of complex systems. In a rapidly changing environment an understanding is sought which will facilitate the choice and the implementation of more effective solutions which, typically, may involve complex interactions among the elements of the system, for instance, people, materials and money. Operational Research has been used intensively in business, industry and government. Organisations may seek a very wide range of operational improvements - for example, greater efficiency, better customer service, higher quality or lower cost. Whatever the business engineering aim, OR can offer the flexibility and adaptability to provide objective help. Most of the problems OR tackles are complex, often entailing considerable uncertainty. OR can use advanced quantitative methods, modelling, problem structuring, simulation and other analytical techniques to examine assumptions, facilitate an in -depth understanding and decide on practical action. 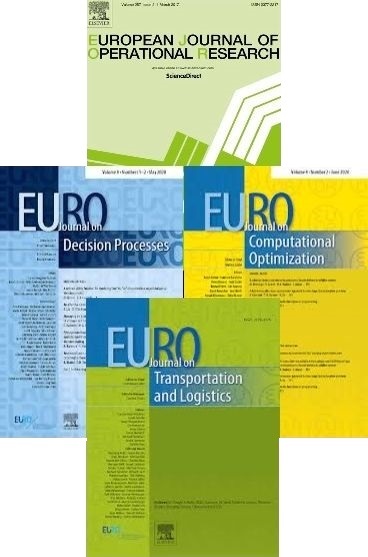 Many new analytical areas have evolved within OR, such as: mathematical programming, simulation, game theory, queuing theory, network analysis, decision analysis, multicriteria analysis, etc., which have powerful application to practical problems with the appropriate logical structure. "There are too many lorries on the road"
A common cry but something can be done! A bakery used OR to devise an efficient scheduling system for its delivery vehicles. The new system reduced lorry mileage, road congestion and pollution as well as saving money for the bakery. "I had to wait all morning in hospital"
Great pressure on consultant time coupled with some patients who don't always keep their appointment times can cause real problems for hospitals. But by using OR, appointment systems have been designed that substantially reduce waiting times whilst keeping highly qualified medical staff fully occupied. "We've just got to increase our sales"
Easier said than done but OR proved equal to the task for a mail order firm. The OR model helped boost catalogue sales by designing an idea mix of discounts, special promotions and customer incentives. "Bottlenecks - the bane of my life"
How many production managers say that? We know of some that don't because they used OR! One manager wanted to ensure the efficient operations of his new automated warehouse by simulating the operation of alternative material handling equipment. This meant that a selection could be made which eliminated any bottlenecks and delivered the required output.